Stathakis announced it has implemented a color-coded cloth system company wide in an effort to further reduce the risk of cross-contamination and systemize efficient and health conscious cleaning practices. Color-coded cleaning cloths offer a number of benefits to janitorial companies, cleaning companies and their customers. The adoption of four-color-coded wiping cloth technology is among many of the industry best practices that continue to designate Stathakis as an industry leader among Building Services Contractors. 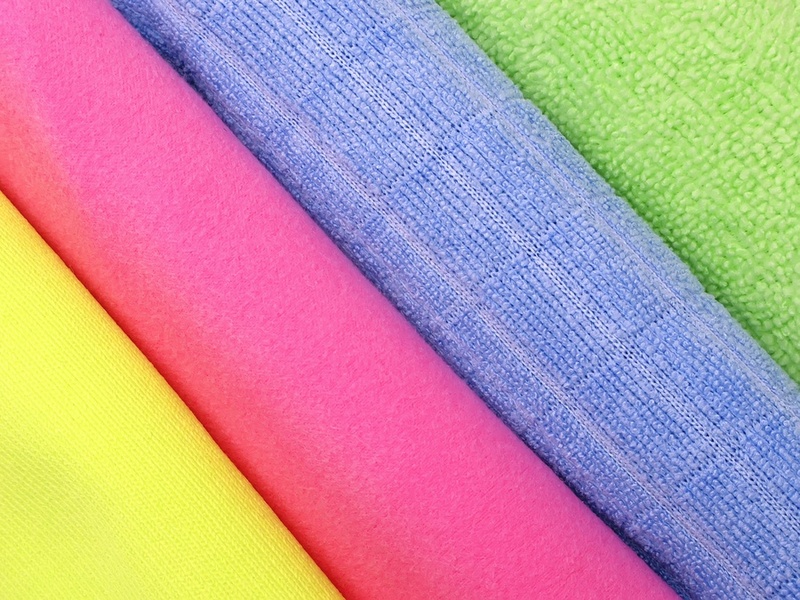 What Are Color-Coded Cloths & How Do They Prevent Cross Contamination? Color-coding within the cleaning and janitorial industry is the idea of utilizing varying color rags, cloths and towels for specific areas in order to reduce or eliminate cross-contamination and get a better overall clean. For instance, when it comes to office cleaning, no one wants his or her desk cleaned with the same cloth used to wipe down a urinal. And if you are an industrial cleaning customer, you don’t want a cloth used to wipe down a greasy surface used to clean mirrors or a glass entry door. Designating specific colors for specific tasks or areas creates a simple, easy to implement system for avoiding cross-contamination and cleaning better. Color-coded cloths help janitorial company teams organize their materials and their day by offering an easy, visual coding system. Once put in place, the color-coded microfiber cloth system just becomes habit, a good habit! Likewise, color-coding offers managers and supervisors a quick, easy way to monitor employees and insure reliability through accountability. This results in improved performance, improved sanitation, lowered risk of cross-contamination and cleaner, healthier facilities. What Industries Benefit From the Color Coded Cloth Technology? Nearly all industries will benefit from the use of color coding systems, including those industries that require health care cleaning, educational and school cleaning, industrial cleaning, office cleaning and more. In any of these industries, using a color-coded cleaning system can help reduce the risk of cross-contamination, control infection, streamline employee training making it easy and straightforward for cleaners to differentiate spaces. Is Your Janitorial Company Cleaning For Health With Color Coded Cloths? Public health is on the top of our minds as issues with Ebola, influenza, Hospital Acquired Infections (HAI) methicillin-resistant Staphylococcus aureus (MRSA), Escherichia coli (E. coli), Enterovirus D68 (EV-68), Salmonella and other Superbugs top the headlines and news reports. The potential for serious outbreaks has increased our awareness of methods that might accelerate the spread of infection and even contribute to epidemics. If your janitorial company has a color-coded cleaning program in place, you know they are doing their part to protect the public health and keep you and your employees and customers safe and healthy.